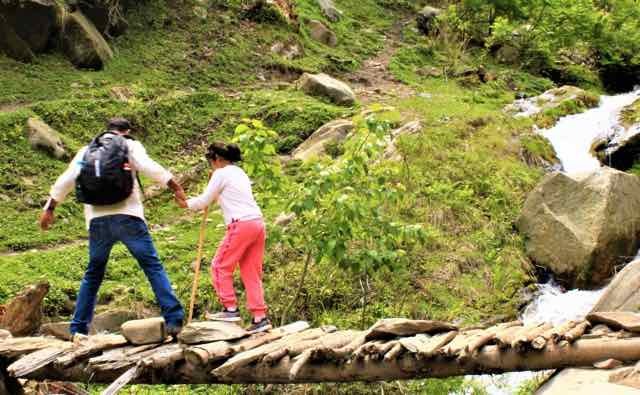 How I Managed To Trek Kheerganga With My 8 Year Old Daughter! - Ghumakkar - Inspiring travel experiences. 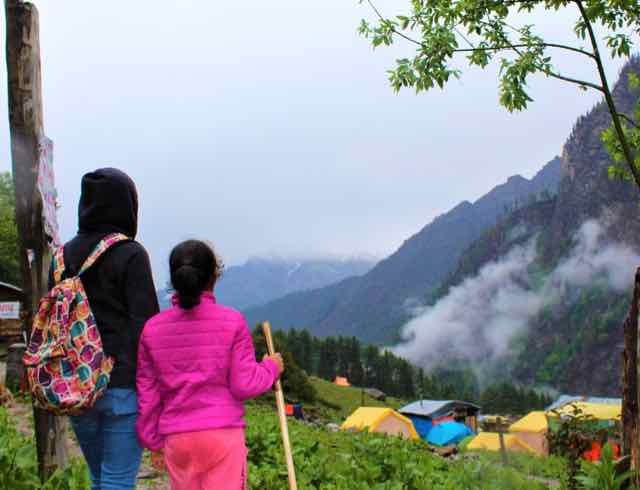 How I Managed To Trek Kheerganga With My 8 Year Old Daughter! It was not planned. How can it be? 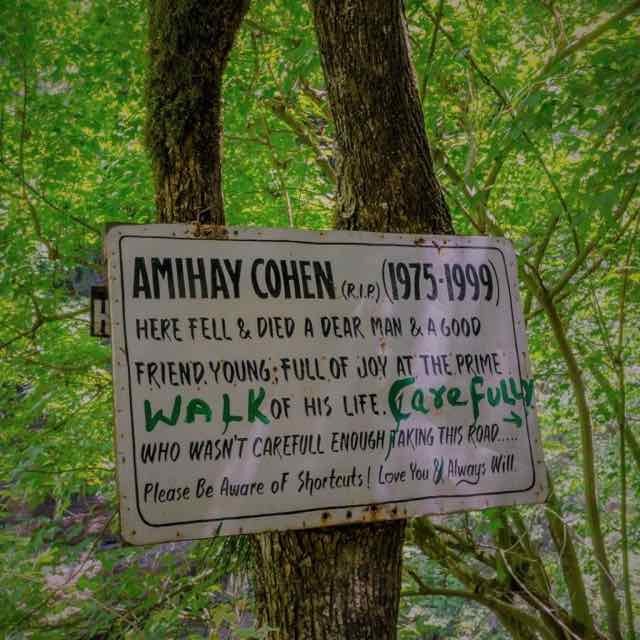 I mean with an 8 year old child, nobody would want to trek 13-17 km one-side and certainly not to a place like Kheerganga infamous (or famous) for its own reasons. But it happened! We trekked up to Kheerganga and trekked down to Barshaini on the same day with our little daughter. Rest is history! 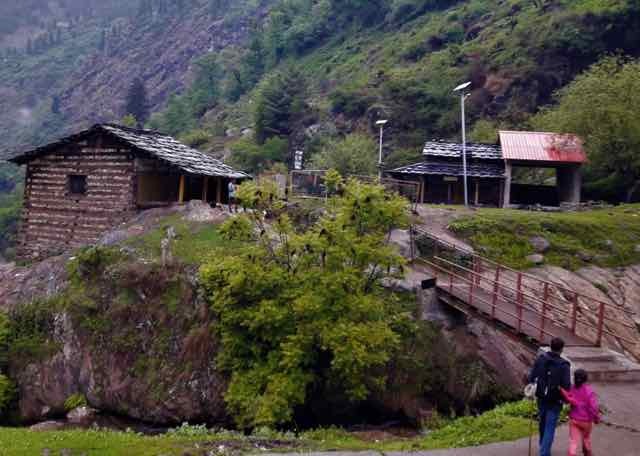 I had been reading about Kasol a lot and the place attracted me for its varied culture, cuisine and abundant natural beauty. Kasol is famous among backpackers and people who love to stay high (Charas or Marijuana). The place offers a fabulous blend of Israeli culture, quaint landscapes and unspoiled nature. Though it’s not a great destination for a family holiday but you can’t deny the gratification you get in doing something out of the ordinary. There’s a beauty in the unusual! I planned the 4 days itinerary covering Kasol, Katagala, Manikaran, Malana, Chalal, Tosh and Barshiani (Watch out for my next blog post about these places). Kheerganga was out of question. I and hubby didn’t have any trekking experience and we were sure that it’s next to impossible with our little daughter who can’t even walk up to nearby market without complaining about her leg pain. Almost 14 hour journey from Delhi to Kasol was incredible wherein we witnessed two prodigious rivers (Beas and Parvati) snuggled between the Himalayas. Beas River accompanied us all through the journey from Mandi to Aut tunnel and once we crossed the Aut tunnel, Parvati River became our constant companion. Highlight of our road journey was driving through the 3 km long Aut tunnel, which is one of the longest road tunnels in India. Parvati Kuteer on the bank of Parvati River was our home for next 4 days in Kasol. 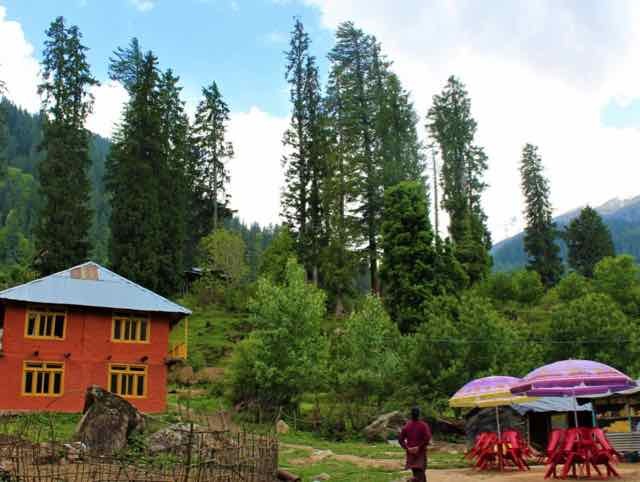 All the places in our itinerary were covered in 3 days and 4th day was left free intentionally because what better way to enjoy the nature than just sitting by the river surrounded by the mountains and tall Deodar trees. But destiny had its own plans that didn’t match with ours. My daughter curiously questioned,” why can’t we trek up to Kheerganga?” I explained the difficulty level to her and how it’s inappropriate for her age. She announced that she wants to experience it, maybe 2-3 km trek and then come back. I was apprehensive and scared. We enquired about the trek with the localites and they felt that it’s pretty conceivable. It was, of course their version based on their own stamina and experience. We had our own car and driver. One can either take a taxi or cab from Kasol to Barshaini or opt for a budget-friendly bus ride. 1. Through Rudranag (13 km) – Difficult to climb, easier to come down and offers ravishing views (ideal for photography enthusiasts). It has less trees and vegetation; more of tiny hamlets on the way so a bit exhaustive during bright sunny days. We obviously took the Kalga route. 15 to 20 min trek lead us to Kalga and we were stunned by the beauty of this quaint little village emitting the serenity every one of us crave for these days. We sat at the local cafe and sipped in hot tea while our daughter enjoyed Maggi with breathtaking views. People of Kalga were welcoming and cheerful. They encouraged us to trek to Kheerganga with our daughter as according to them it was not wise to leave such a beautiful place unexplored when you are so close to it. With no arrangement for the journey ahead and little kid with us, it was eerie. We only had a light backpack with a bottle of water and an extra pair of clothes for our daughter. Water, food and accommodation weren’t a problem though because there were plenty of cafes on the way to Kheerganga and numerous places to stay at Kheerganga. Problem was the journey. With so many questions unanswered, we resigned to our daughter’s will and continued our journey to Kheerganga from Kalga. And how we crossed narrow bridges made of wood! It seemed easy at start with open grounds and lush green forests until we crossed a bridge made of wood logs. The trek became more demanding after 5 km walk. We made it a point to ask for the right way at every cafe on the way so that we don’t lose our way. There were fallen trees and rocks on the way and it became scary as we proceeded further. And then came this warning! It scared a hell out of us! Good thing that we were more cautious now. As if that wasn’t enough, it started raining heavily. Tracks became muddy and increasingly difficult creating slippery walking conditions. We regretted and blamed ourselves for bringing our daughter here unprepared (no raincoats or ponchos). There were no kids, no families on the way; only boys’ gangs (typical backpackers and seasoned trekkers) and sadhus (saints). I’m still getting goose bumps while I’m writing about it. Few boys on the way warned us not to go further as it’s not safe in this kind of weather and there are only hippies at the Kheerganga. But it was too late to move back as we had already trekked more than half the distance. We took a shelter in a tent on the way and waited until the rain eased off. A British couple waited with us in the same tent and having a chit-chat with them relaxed us. We started again while it was drizzling continuously. It took us 5 hours to complete the trek, however, locals and cafe owners whom we met on the way reached Kheerganga in less than 2 hours. Imagine the stamina these Himalayan guys have. They trek up and down every other day without any exhaustion and fuss. We drank water from the waterfalls on the way to Kheerganga and believe me; I have never tasted water with such a sweet and delicate flavour, full of oxygen, naturally cold and digestible. It felt heavenly. We have travelled in India and abroad; experienced so many things but for the first time in my life, I literally realised that journey is more important and beautiful than the destination. It’s absolutely a beautiful trek where physical pain or exhaustion feels like a breeze. Once we were at Kheerganga, we forgot the stress of the journey and soaked in the other-worldly views of the dream-like surroundings. 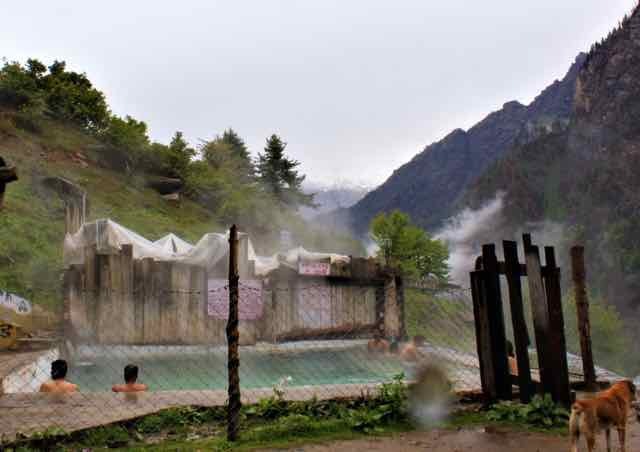 Lush green meadows, clouds descending down to the valley, natural hot water spring surrounded by snow covered Himalayas. Would you ask for more? How one feels? Serendipity. Euphoria. These are the words. Virgin nature makes you high, yeah, high on happiness and Shiva temple at the top makes you high on spirituality. Felt close to Mother Nature and to God at the same time. I was speechless as I entered the temple of Lord Shiva which holds a great religious significance. There are two different legends that explains the origin of Kheerganga – One says that Lord Shiva meditated here for thousands of years and another says that Kartikeya, son of Lord Shiva and Parvati meditated here and the natural spring was emerged when Shiva struck the ground with His trishul on Parvati’s request as she was worried that her son wouldn’t get anything to eat here. This spring was kheer (Indian sweet dish made of milk and rice) in Satyuga (Golden Age) which was later turned into water during Kalyuga (Iron Age) by Shiva on Parshuram’s insistence. 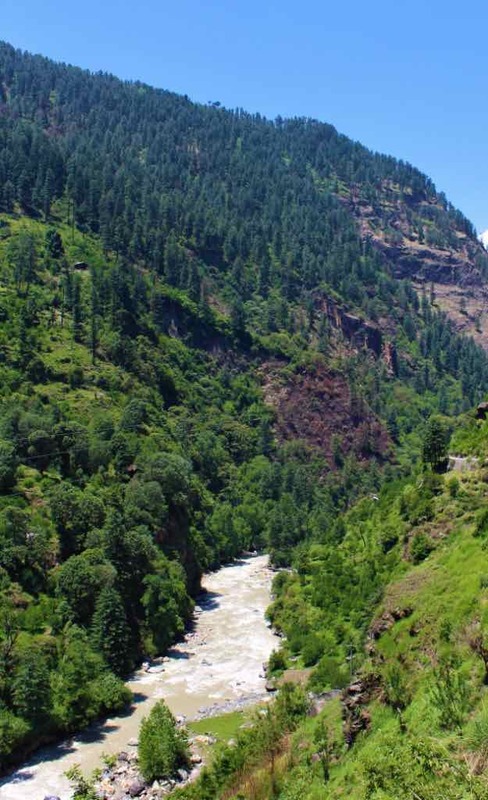 Whatever it is, Kheerganga is certainly a miracle, water as white as milk, flowing in all its glory and its streams gushing into Parvati valley. Bath in the sulphur rich hot water spring is so relaxing and healing. There are two sub-sections of the pool – one for the men and the other for the women. It’s believed that drinking the water from the spring cures all kinds of gastric diseases and taking bath in it washes all your sins. We, as everyone, filled our bottles with the holy water to bring it back home. Plan was to book a camp or room and stay overnight which changed later on taking into account certain factors not suitable for kids. It was 3:40 p.m. and we started trekking down with our fingers crossed. Calculations indicated that if we walk continuously without taking longer breaks, we would reach Barshaini by 8 p.m. It takes comparatively lesser time to trek down. We took the Rudranag route while coming down because it was told that the route is shorter and less steep than the other one. Trek starts with walking through the thick pine forests and then suddenly landscapes change into fields and villages once you cross an iron bridge over the raging stream. One of the fascinating, exhilarating and worth-mentioning features of Kheerganga trek is that the rumbling water stream and mighty waterfalls flow all through the trek. We crossed several streams on foot. The thunderous sound of the water reveals the dangerously beautiful side of the nature. It was scary and soothing at the same time. We really felt small in the face of nature. The trail gets narrower as one progresses further. We stopped at Rudranag temple to offer our prayers. A waterfall was coming down from the mountain top with evident snake like shape and thus the name, Rudranag. People were taking dip in the water near the waterfall but it was too cold to handle for us. We moved further as it was getting dark. Small villages on the way attract you to stop and admire the beauty in the simplicity. Villagers are so simple, helpful and cheery. One of the ladies at Nakthan village greeted and offered us to rest in her house for some time when she saw our tired little daughter but we politely turned down the offer saying we can’t afford to take a break. She blessed and applauded our daughter. Kids coming back from the school, women bringing wood in a basket on their shoulders, people chit-chatting randomly; I felt like spending my life here! That’s how life’s supposed to be! A life so uncomplicated bereft of the harshness of the modern world. 4 km left, dog-tired, legs refused to move, almost vanquished, a mountain kid boosted our spirits. 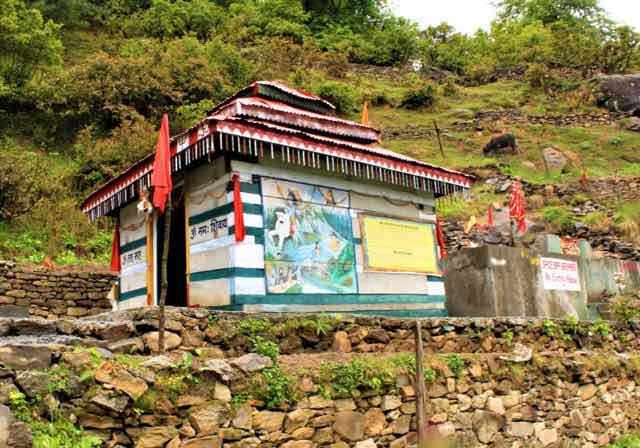 He moved gracefully from one stone to the other, swinging on the narrow paths, singing Himachali songs, no trace of panic; obviously it was a routine thing for him. But, his assurance (it’s just 20 more minutes and you’ll be down) and carefree attitude re-energised three of us and we followed him. It was dark when we reached Barshiani. Our driver was waiting for us. Amazed at what we have accomplished (technically, we walked more than 25 km in a day), we retired and slept in the car while coming back to our resort in Kasol. What had we gained? Well. We rediscovered ourselves. Connected with God. Connected with ourselves. Connected with nature. You never know what you are capable of until you have no choice. If given an option, I wouldn’t want to return to this false world of self-gratification and remorseful judgements. The trek left me with a lot to reflect on. 1. It’s better to start a trek early in the morning because it normally rains after 2 making it difficult to walk. 3. I would recommend, don’t trek up and down from Kheerganga on the same day as it can get pretty risky and tiring. Better, chill and enjoy the fairy-tale like surroundings for a day. 4. Last but not the least, Respect nature. Be a responsible traveller and tourist. Don’t throw your trash anywhere. There are dustbins installed at all the cafes on the way for you guys to use it. Carry all the disposable waste in your bag and dump into a dustbin later. Don’t spoil the serenity of the nature by being a clamorous tourist. This was our first ever trekking experience. Have you ever tried trekking with kids? How was your experience? Mother. Reader. Traveller. Dreamer. Blogger. Wow. What a brave tale to start with at Ghumakkar. Welcome aboard Anjali. You know what, we also stayed at the same place when we visited Kasol in 2010. Our daughter was then 5 so we were mostly in and around Kasol. But just like you, we also got encouraged by local vibes to visit Malana. And to be honest, we wanted to go ourselves too, so we drove to the last point as possible and then started climbing. It did rain, in our case too. Finally after about a hour and a half, we decided to back out. Never went there again but hopefully some day, a real week long holiday. I do not know whether Abhaya Tamaria, who was running this place then, is still visiting. Ram was the local leader. Parvati Kuteer was a nice cosy place to be in. We also sighed a regular visitor at the camp, a flying squirrel, almost the size of a cat. Thank you for sharing your story with us, Anjali. Hope to read about the other parts of your trip. Thank You for the warm welcome, Nandan! I’m delighted to be a part of Ghumakkar family. Parvati Kuteer is certainly a beautiful place to stay especially because of its location on the banks of Parvati river. The place is now run by Kapil Sharma. Trek to Malana with a 5 year old is commendable. You know what, children get hands-on experience while travelling and that’s the most rewarding part of the travel for us as a parent I guess. Sure, Nandan. I’ll post about the other parts of our trip to Kasol and about other trips as well. I haven’t yet been to H.P. yet. Was thinking of going to Kasol. Now after reading this log, I am planning to take to the route of kheerganga from Kasol as I am also fond of trekking. Kudos to the great parents for taking their little kid out for trekking as this will definitely imbibe a love for nature in the little kid who resides within a city/concrete jungle. Thank you, Sriyanka! 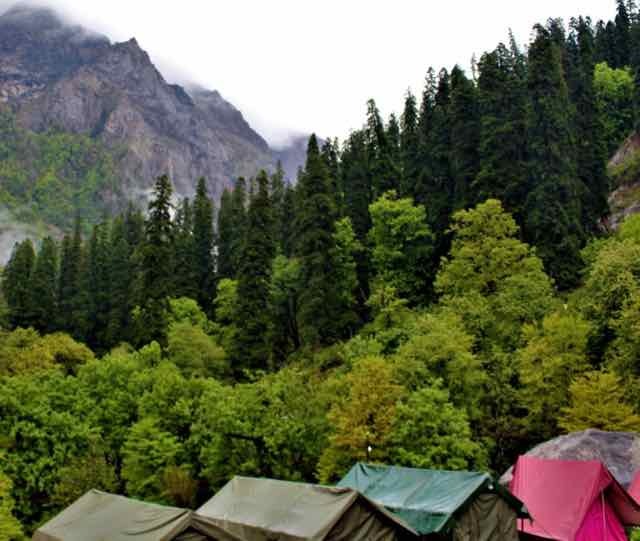 You should definitely plan for Kasol, Kheerganga and nearby small hamlets. Himachal Pradesh is a beautiful state and you can never go wrong with it! Hats off to the 8-year-old for her bravery! 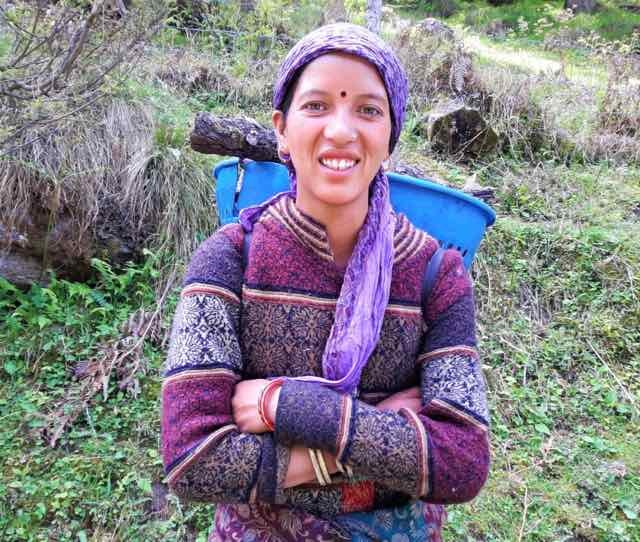 My princess at home refuse to walk even to the nearby market (she did trek at Binsar, to be fair) so I can understand your fears, Anjali. Glad the trek made you realise your inner self. Keep going & sharing. Thank you, Patrick! Words of appreciation keep me going. I’ve heard a lot about Binsar Sanctuary and Jageshwar trek. It’s in my bucket list. I’m sure trekking with your princess must have been a beautiful and learning experience for you! I read your post and was really inspired how your just 8 years old daughter could trek and I being 2 times her age is not able to walk more than 5 kilometers. That is truly over whelming. Thank you for sharing such a remarkable experience and I am sure it is equally inspirational for others as well.. Thank you Muskan for reading and appreciating! Children, in many ways, inspire us if we just let them! Beautiful description of trekking with nice clicks,salute n hats off to young trekker for her courage to accompany u n trek completed in a day.thanks a lot for sharing and your writing will help and encourage most. good writeup. your daughter will never forget this trip. she will be telling stories about it to her children too when she grows up thanking you for this experience. I was in Kasol and Mannikaran last week our base being Manali. Your daughters enthusiasm and bravery reminded me of my daughter who is of the same age and was with me in Manali. Though we didn’t go trekking, we did walk 8 kms on the hills in search of an ATM. It was the best day of the 5 days tour. We randomly met playing kids, went inside apple orchids, clicked pics by the river, had blueberry juices and it was constantly drizzling. I don’t know how she managed to walk this much that too on the mountains, but it was too much fun in the evening rain. We ultimately found a working ATM and reached the hotel wet and tired for a hefty dinner. I was on a hurricane trip of Delhi. I had heard of Garden of five senses many times and so wanted to see it. Mr Mahesh Semwal has already described it beautifully with plenty of photos and its very good plus points. I am not going to repeat since I agree with him on most of them but here I present another view of the garden.